Duro's powerful import wizard allows users to create and update BOM assemblies directly from a spreadsheet. 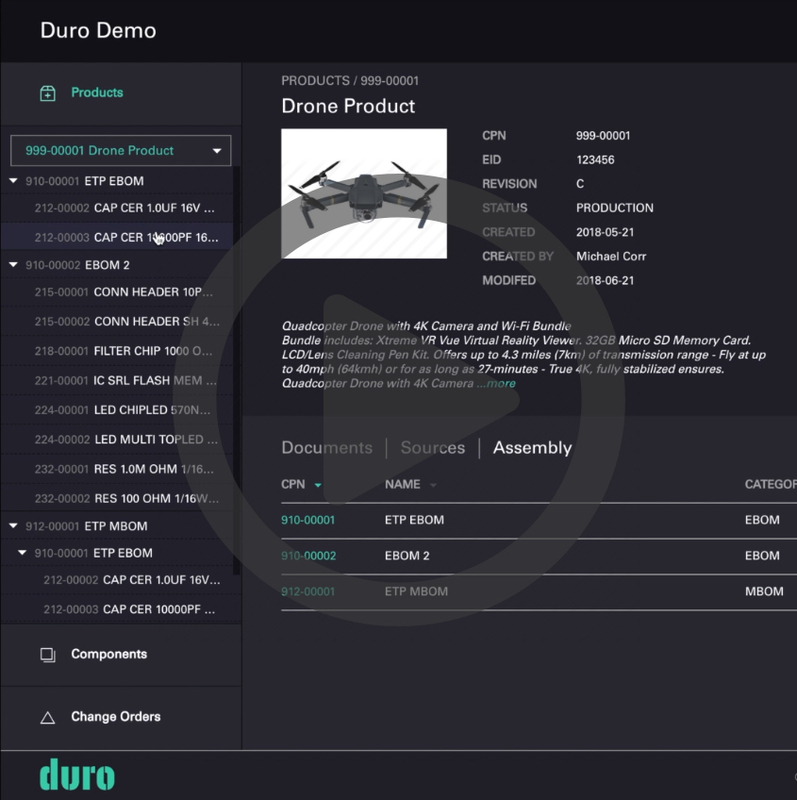 Duro allows users to easily create new Components in their library by importing from all of the major vendor catalogs. With persistent access to your Product assembly tree, users can efficiently navigate through their product BOM sub-assemblies to find the exact components, quickly.